Moog’s latest are more portable and more affordable than ever. And with expression and CV inputs, they can also unlock a world of sound exploration entirely in a shoe-compatible interface. Yes, it’s a good time to be in love with synths and drum machines. But for all the hype around those instruments lately, adventurous guitar effects are also seeing a new renaissance. While guitarists have always had a lovely palette of oddball stompboxes and grungy distortion and effects, they’ve lately been seeing more affordable, more accessible tools for sound design that had been more associated with synths. And, of course, wherever you see the word “guitarists,” any instrumentalists who need stomp form factor will also benefit – bass guitar, electric violin, experimental accordion, whatever. Say the name “Moog,” and most people will see keyboards in their head. But Moog Music has become as much a maker for guitarists as keyboardists. That includes the brilliant if spendy Moog Guitar, but also the Minifoogers, a tasty lineup of compact stomp effects that make the sounds of the Moogerfooger line and Moog synths less expensive and more portable. And there’s also Eventide, whose H9 harmonic processor is both one of the best of its breed in the harmony category and a platform for more Eventide stompbox effects. 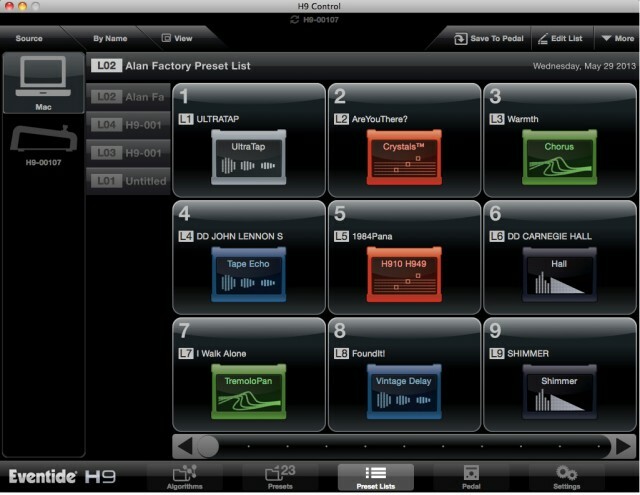 That is, you can load up any effects you like while still accessing the features with your feet – it’s like a computer you can use with shoes. The Minifooger’s smaller size and price made me a bit surprised at how useful I found them to be. The variable wave shape on the MF Trem made it easy to sweep from standard tremolo to more outside effects. Using an expression pedal with the MF Boost turned it into a handy volume pedal. The tone control on the MF Ring made it a piece of cake to add everything from warm non harmonic overtones to a clangorous metallic edge and the MF Delay can take you everywhere from a quick slapback to spacey dub madness. The MF Drive is a great combo of warm overdrive and synthy filter resonance. My favorite thing about them all is that the expression pedal inputs can be used as control voltage inputs. I was able to do some very wild things with them and a Moog CP-251 Control Voltage Processor or a MP-201 Multi-Pedal. It’s a great way to tie your stomp box setup into your mega-modular synth or other similar gear. Step-sequenced analog overdrive is a thing of beauty. I think it’s a myth that guitar effects all have to fit in a narrow box. The whole, beautiful tradition of guitars over the last century has been rooted in experimental sound design, including the noises that found their way into popular music. And if you do want to use this sort of approach to approach sound – without hovering your nose over your computer for still more hours – this gear can deliver. Chris has suggestions for those who want to journey deeper into outer space. 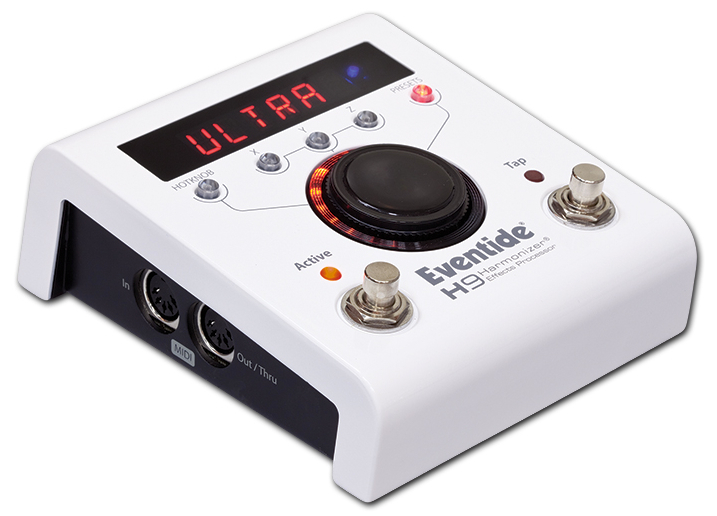 And for that, we’ll bring in the Eventide H9, too. Some of the possibilities when running an Epiphone “Chet Atkins” electric nylon string guitar through an Eventide H9, Moogerfoogers and other effects pedals. 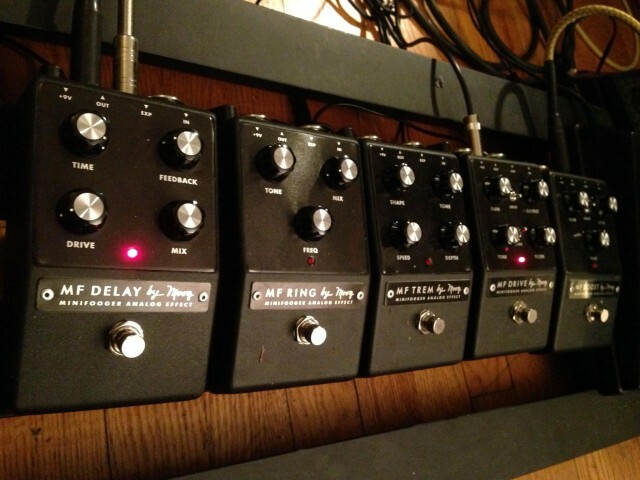 Signal chain: iStomp compressor – Moog MF-102 Ring Modulator – Moog MF-101 Lowpass Filter – Moog MF-105M MIDI-MuRF – Eventide H9 – Line6 Echo Pro. An exploration of some of the many textures possible when processing the Moog Guitar with an Eventide H9, Ableton Live Suite Effects and a Moog Ring Mod or MIDI-MuRF. And, yes, even as a keyboardist, I’d love some of these, please. In addition to its harmonizer capabilities, the H9 – seen here from the companion PC/Mac control app – can run a variety of stomp effects. The H9 is a bit like a stompbox crossed with HAL. Um, useful HAL, not evil HAL. Okay, it’s like a stompbox that’s an Eventide – that’s what you need to know.